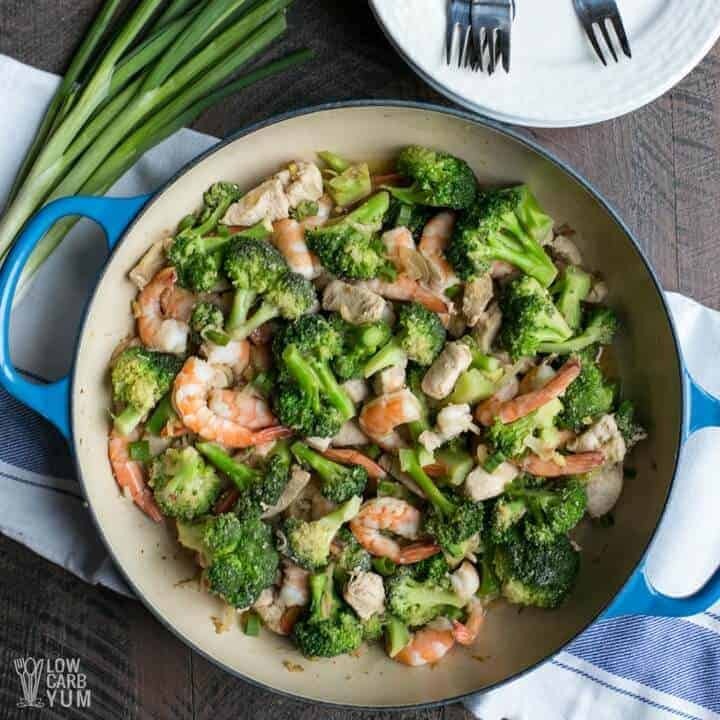 There’s always time to whip up a quick chicken and shrimp stir fry! 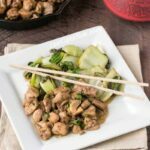 Here’s a recipe with broccoli that’s AIP paleo, keto, and low carb friendly. Growing up in a Filipino American family, it’s no wonder I love Asian inspired stir fry dishes. 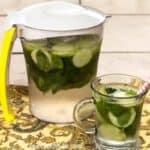 They are just so quick and easy to prepare. 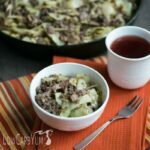 In the early days of this blog, I added several of my favorite skillet meals. There’s the hamburger green bean, the pepper steak, chicken green bean, and chicken with bok choy just to name a few. In fact, all of my previous recipes are single meat. 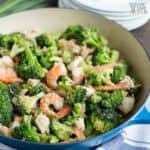 But, with this easy chicken and shrimp stir fry, I’m changing that! 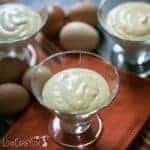 Another thing that I did a lot of was sweet recipes. However, I rarely post those these days as I’ve moved to a paleo autoimmune diet that’s low in carbs. 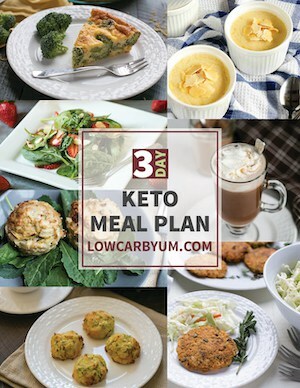 I made a big move last year to cut back on low carb sweets. 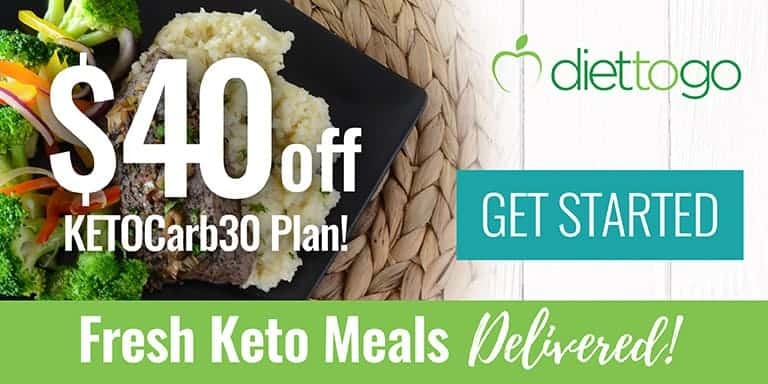 And, one of the things I learned from my AIP (autoimmune protocol) elimination diet is that I’m sensitive to erythritol. I used to use a lot of soy sauce. Then I switched to gluten-free tamari. These day, I’ve moved away from soy altogether and use coconut aminos instead. Because it’s made from coconut, the aminos has a slightly sweet taste. 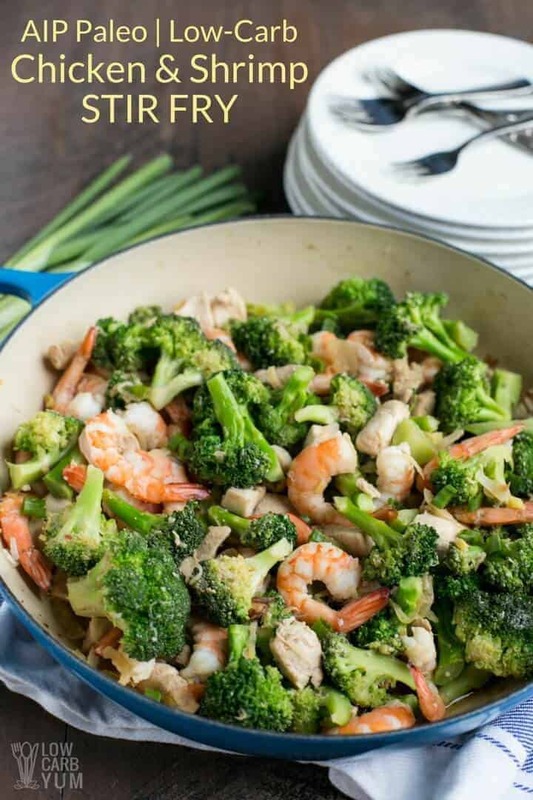 But, it tastes great in dishes like this chicken and shrimp stir-fry where a little sweetener is added. 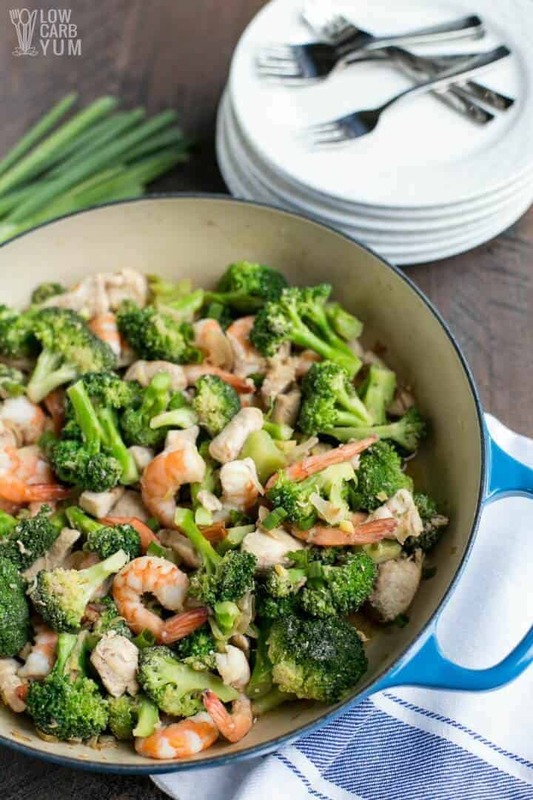 And, I love how easy this chicken and shrimp stir fry dish is to throw together at the last minute. However, it does take a little time to chop ingredients. Overall, I’d say it should take no more than 40 minutes to prepare and cook a stir-fry. To save time, you can buy pre-cut chicken and vegetables. 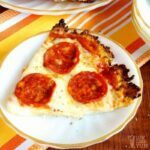 If the ingredients are already prepped, you can likely make the recipe in less than 30 minutes. Of course, I usually do things the hard way. Rather than buying florets, I just buy a head or two of broccoli. I did buy pre-cooked shrimp. But, it was only because I couldn’t find the raw kind in the smaller size. You can use large or jumbo shrimp. However, I think small or medium shrimp are best for this chicken and shrimp stir fry. My shrimp was also frozen so I just had to heat it up in the pan. Frozen broccoli works too if you don’t have any fresh. 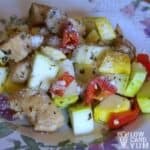 In fact, you can even save time by using a leftover or pre-cooked chicken pieces. With so much flexibility, stir fry skillet dishes have become a staple for me. I just mix in whatever meat and vegetables I have. You may have noticed I have a lot of casserole recipes too. That’s because they are so simple to do. 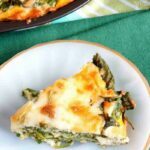 Some of my favorite casseroles are keto lasagna, low carb chicken enchilada, and an easy chicken cordon blue casserole. 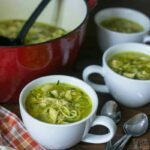 Do you have a favorite recipe type that you tend to cook a lot of? There's always time to whip up a quick stir fry! 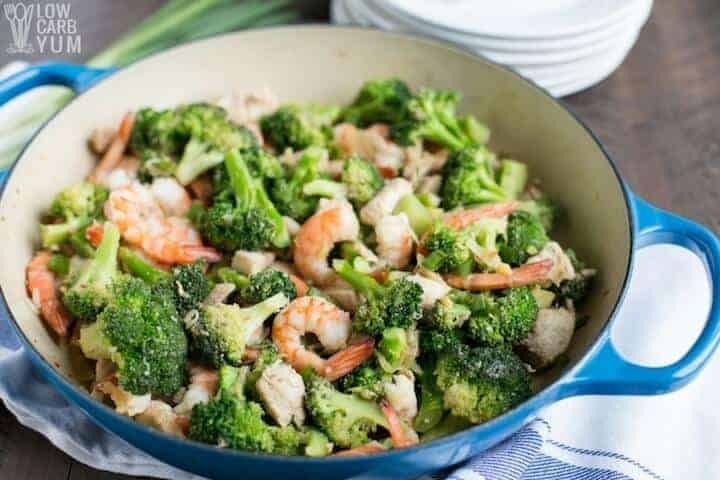 Here's a recipe with chicken, shrimp, and broccoli that's AIP paleo, keto, and low carb friendly. In a large skillet or wok, melt the lard (or coconut oil) over medium-high. Add onions and cook until translucent. Stir in the garlic and ginger and stir fry until fragrant. 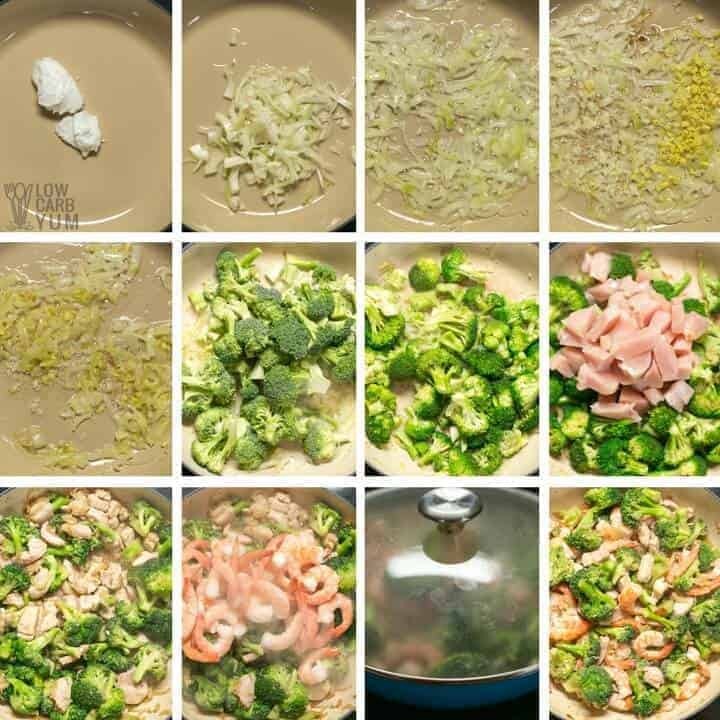 Dump in the broccoli and stir fry for about 10 minutes. 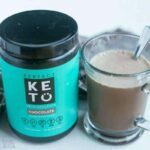 Add the coconut aminos and stevia. Then, stir in the chicken, shrimp, and salt. Cook until shrimp is heated throughout (or turns pink if using uncooked). 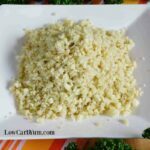 Serve hot over cauliflower rice.